With so much shopping mall space already taken up in the Klang Valley, developers are turning toward building suburban malls in residential areas. 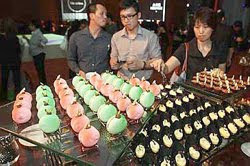 One such example is the new 470,000 sq ft SSTwo Mall along Jalan SS2/75, set to open in the fourth quarter of this year. The imminent opening of the new RM180mil mall is causing some uncertainty among residents in that area. She says the close proximity of Tropicana City Mall makes it difficult to understand the objective behind the development of SSTwo Mall. Indeed, there are questions that should be asked about this new mall. For instance, Tropicana City Mall is located a stone’s throw away – why build another mall so close to it? Both malls appear to be targeting a similar income group (the middle to upper household income bracket) and will attract customers from the same area, so surely SSTwo Mall will suffer from a lack of tenants or shoppers? Henry Butcher Retail managing director Tan Hai Hsin rejects this notion. “At the moment, there is no large shopping centre in Petaling Jaya that offers one-stop retail facilities. SSTwo Mall could replace Jaya Shopping Complex as the retail icon of PJ,” says Tan. What about the increasing number of shopping centres in the Klang Valley? “Market saturation is irrelevant to this shopping complex. The challenges that SSTwo Mall faces are more localised, such as its ability to offer products and services different or better than its competitors, while staying relevant with its target customers,” he says. This is also a view shared by Asian Retail Mall Fund II (ARMF II), the developer of SSTwo Mall. 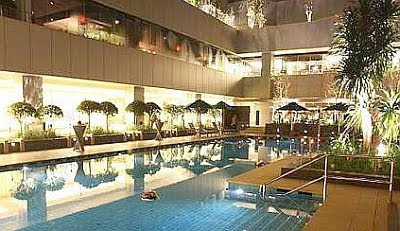 ARMF II is managed by Pramerica Real Estate Investors in Singapore. “Malls are built to cater to segments of the population with varying needs and demands. For SSTwo Mall, we aim to become a community-centric establishment for the SS2 community, providing the residents with a comfortable venue to dine or shop with their families,” says a spokesman from ARMF II. He says that the mall was designed with the surrounding residents and families in mind. The residents living in the apartments directly along Jalan SS2/75 are the ones who will benefit the most from the new mall. There are easily over 2,000 units of apartments along the same road and many of the residents are optimistic about the new mall. “The opening of SSTwo Mall will be good for the community. It will be convenient for me to dine and buy groceries from the mall, especially if there is a new hypermarket. I will not have to go very far to get the things I need,” a resident from Five Stones tells StarBizWeek. She says she understands the concerns of residents living in the houses nearby, and urges them to lodge their complaints over difficulties indirectly caused by the mall through the local council – a view shared by the developer. The story of a mall in an area with different resident views is not a new one. Malaysian Association for Shopping and Highrise Complex Management member Richard Chan tells of how the development of Atria Shopping Centre in Damansara Jaya had to contend with complaints from residents in 1990. “Before Paramount Corp Bhd took over what was then known as DJ Centre, the shopping mall was in a mess. The mall was not fully occupied, it was facing competition from neighbouring retail outlets and worst of all, the mall did not meet the needs and wants of the residents, who were worried about the impact of the mall on the community,” says Chan. “When we took over, we formed a resident association to allow residents to voice their complaints as well as promote discussion. It turned out that residents were worried about the impact of the shopping centre on the location of the night market or pasar malam. So we helped resolve their concern, while convincing the neighbouring shops that we were not a threat,” says Chan. Paramount Corp’s assurance to the residents that the area would benefit from Atria Shopping Centre won them over, something the developers of SSTwo Mall will do well to follow. With a net lettable area almost 100,000 sq ft larger than Tropicana City Mall, and almost 2½ times larger than Centrepoint, it is fair to say that SSTwo Mall will definitely have an impact on the area immediately around it. Whether the benefits of this new mall will outweigh its cost is yet to be seen. But the obvious conclusion is that there is a price to pay for development. BOLTON Bhd's Taman Tasik Prima township in Puchong, Selangor, will be fully developed once the final phase is launched by mid-2011, comprising commercial and residential units worth RM650 million. It will offer 3,000 units of terraced houses, serviced apartments, shops and a 250,000-sq-ft retail mall on a 8.1ha site, Bolton executive chairman Datuk Mohamed Azman Yahya said. "It is in planning stage. The final phase will be exciting," Azman said yesterday after briefing the media on The Wharf, a prime commercial project worth RM450 million located within the township. Bolton expects gross development profit of RM150 million from the final phase over seven years. The Wharf has 32 blocks of three-storey boutique showroom stratified offices known as BizWalk, 1,002 units of serviced apartments in three blocks, 64 terraced residences and a 302,739-sq-ft retail mall. Bolton will launch BizWalk this weekend. The showroom offices come in lot sizes of 25ft by 75ft and 39ft by 75ft, each priced from RM2.2 million. Azman is bullish on sales. "We expect it to be very well received. The market is currently robust. I think it will probably hold for a while," he said. The mall, worth RM100 million, is expected to be completed by early 2013. Azman said it is considering to sell it to a retail operator. He also said that he is confident that the company's sales in current fiscal year will touch RM500 million, helped by new projects. "We see that for investment opportunities, people still prefer to invest in properties. We see a lot of buying interest from Japan, Singapore and China. "This year we are getting five to six projects up. A bulk of the earnings will come in a year later, so going forward, earnings would be better," he said. In the year ended March 31 2009, Bolton posted a net profit of RM18.3 million on revenue of RM292 million. Its new projects, due to be launched in Kuala Lumpur this year, include SixCeylon at Bukit Ceylon, Arata at Kenny Hills and 51 Gurney at Persiaran Gurney. Bolton has 240ha of land in Kuala Lumpur, Penang, Kedah and Negri Sembilan, with expected gross development value exceeding RM2 billion. After a number of false starts, there are some signs that the plan to redevelop the 110-year-old Kampung Baru could finally come to fruition. For one, a bill in parliament that seeks to create a new body aimed at overseeing the development of Kampung Baru, the oldest Malay settlement in Kuala Lumpur. 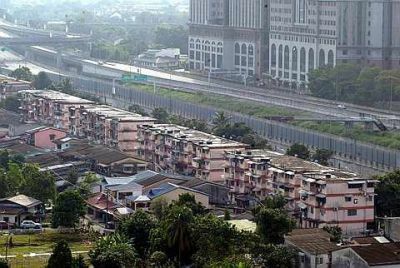 There is also indication that sometime this year parliament would also consider amending laws that prohibit non-Malays from leasing or occupying land in Kampung Baru. But it is far from a done deal and the issue of Kampung Baru remains an emotive and tricky one. Numerous challenges therefore remain. Kampung Baru is made up of 378.93 acres, the bulk of which is under Malay reserve land. It is estimated that there are 4,300 lot owners in Kampung Baru, spread across seven villages. 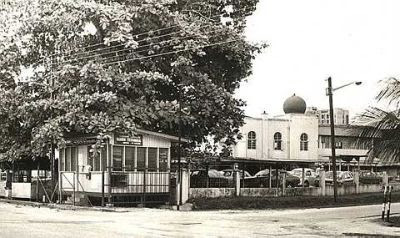 It has a long illustrious history as part of the Government’s effort to promote Malay settlement in the capital city. Set aside as a Malay Agriculture Settlement reserve on Jan 12, 1900, it is one of the last remaining neighbourhoods in the city with a distinctive Malay traditional houses and way of life. Located in the shadows of the Petronas Twin Towers, it is an anomaly of a traditional and largely undeveloped residential enclave surrounded by gleaming high-rise office and residential buildings. A drive around the settlement shows mostly traditional Malay houses and low-rise shop houses and apartments. The roads are narrow and many of the houses are built close to each other. Prime Minister Datuk Seri Najib Tun Razak announced in early February that Kampung Baru will be redeveloped under a concept that will not require relocation of the residents and landowners. He said the residents and landowners will have the right to determine the form of development to suit their requirements. A bill on the setting up of Kampung Baru Development Corp (KBDC) is to be tabled at the next parliament seating. It is now at the drafting stage. The main role of KBDC is to be the development agency to monitor, coordinate, supervise and act as a mediator between the developers, landowners and shareholders. Despite the Government’s commitment, not all the 4,300 lot owners are lending their support. Some object to the very idea of letting non-Malays lease property in Kampung Baru. Others are asking for very high prices for their land. In the past, they have asked for RM1,000 to RM2,000 per sq ft (psf) . According to some valuers, development land in Kampung Baru is fetching between RM200 and RM350 psf now, with a very small number of sales hitting above RM500 psf, according to property valuers. In fact, previous attempts to revamp the Malay reserve settlement have failed due to difficulties in getting consent from the owners and beneficiaries. The situation is compounded by Muslim inheritance laws that split the parcels into smaller plots. 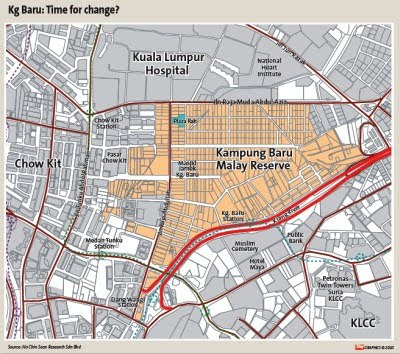 What will it take for the Kampung Baru redevelopment plan to work out this time? According to property consultants and valuers, one of the foremost pre-requisites is a strong political will from the Government and its implementation must be government-driven. There must also be a review or change existing laws that prohibit non-Malays from leasing or occupying land in Kampung Baru. There must also be a comprehensive master plan, experts say. One person who has been keeping a close tab on what is going on at Kampung Baru is Datuk Abdul Rahim Rahman, executive chairman of real estate consultancy Rahim & Co. The senator, who has recently made a presentation on Kampung Baru to the senate, stresses the need to establish the KBDC and removal of restrictions for non-Malays to lease or occupy the properties. “As the development agency, KBDC should spearhead the development (but should not have approving power),” he tells StarBizWeek. 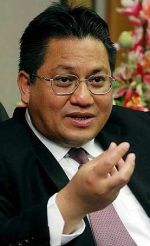 The change to the law on land ownership restriction in Kampung Baru to allow non-Malays rent or occupy properties there is expected to be raised in parliament by the end of this year, he adds. Abdul Rahim explains that the restricted Malay title of the land and properties in Kampung Baru means it can only be sold to Malays and this has made Kampung Baru hard to develop as the market is restricted. UDA Holdings Bhd chairman Datuk Nur Jazlan Tan Sri Mohamed echoes Abdul Rahim’s views. “So there must be a mix in the new Kampung Baru. There must be a mix of races so that value may be added to it. There must be a combination of buyers with different purchasing power and a combination of forces with different objectives to give it some commercial attraction. Unless this takes place, the value of Kampung Baru land will be limited,” he emphasises. James Wong of VPC Alliance, a property valuation firm, concurs that the full market potential of Kampung Baru will not be realised as long as land in Kampong Baru remain as a Malay reserve. “There must be a balance between maximising the market value of the land and retaining its Malay identity. If condominiums cannot be built and sold to foreigners and high net worth individuals, condominium prices in Kampong Baru will never match those around the KLCC or even Mont’Kiara. This same argument is applicable to office blocks, shopping malls and all other investment grade properties,” he says. Abdul Rahim says the master plan for Kampung Baru must be at par or better than that for Kuala Lumpur’s golden triangle area. The right redevelopment model will be to turn Kampung Baru into an international commercial hub with Malay architectural features to retain the Malay history and heritage, Abdul Rahim adds. Abdul Rahim says that to “kickstart” the development, it is necessary to identify a central core area of 10 to 15 acres to be developed into office buildings to house government entities, and other supporting facilities like retail complexes, hotels and shops. ‘’Instead of developing the whole area concurrently involving more than 4,000 landowners, it will be more viable and manageable to start with a core area. ‘’Once the core area is successfully developed, it will encourage other landowners to participate in the development of the surrounding areas,’’ he adds. Wong, who is the past president of Association of Valuers, Property Managers, Estate Agents and Property Consultants in the Private Sector, also stresses the need for a comprehensive master layout plan with clearly defined plot ratios, approved land uses and building heights. He says it is also necessary to amalgamate the existing small land plots into economic parcels for redevelopment but foresees that it will not be an easy task as the majority of the land in Kampung Baru are fragmented and in multiple ownerships. “If all else fail, the Government may have to wield the Land Acquisition Act (1960) to compel the land owners to sell their land,” Wong points out. CB Richard Ellis executive director Paul Khong says the Government may need to implement new redevelopment laws like in Singapore whereby the same concept of consensus from 80% of the residents to a redevelopment proposal will compel the 20% who are not in agreement to accede to the majority. “But until this is legally in place, the only mechanism available now is the Land Acquisition Act. Under Section 3 of the Act, the land administrator can acquire any land for either public purposes or by any person or corporation for any purpose which in the opinion of the state authority is beneficial to the country’s economic development or to the public generally. Under this provision, the government can legally approach the redevelopment exercise,” Khong explains. Meanwhile, a property developer says that all plans with regard to the redevelopment of Kampung Baru should be communicated well to the residents there. “The government must tell the people their plans, and how the landowners will benefit from these plans. The people must know that they are not being taken advantage of,” he says. He adds that the land ownes should be offered a premium for their land as well as the first right to buy into an apartment or office building that is being planned there.